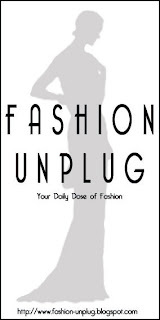 I'm pleased to mention that Fashion Unplug is 1 month old today. We are really pleased and glad about the amount of comments and readers thus far seeing that it is a very new blog. Thanks everybody. Congrats! You're beating us on the comments side...and we're actually offering money...ha!